I finished up my taxes a short while ago. I should have been done earlier today but I played a bit of hookie. Last night I attended the Mianus TU chapter's fund raising banquet. I won a new Orvis Superfine Glass rod and it came complete with a reel and line -- ready to go for the water. I swear they auction these things off like that just so you'll be compelled to fish the next day. 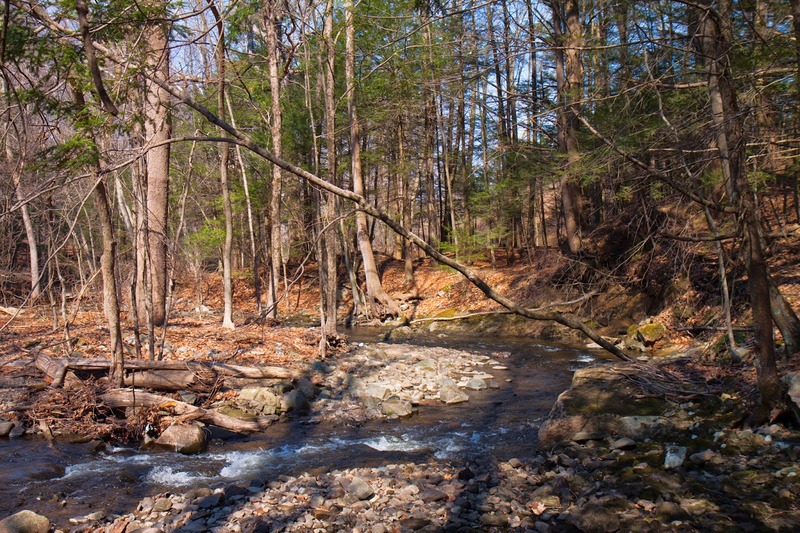 I returned to a small stream that had a fish kill last year. It used to be thick with wild trout and I wanted to see if any had migrated back in. I was in luck. Two fish took a swipe at my fly and one came to hand. 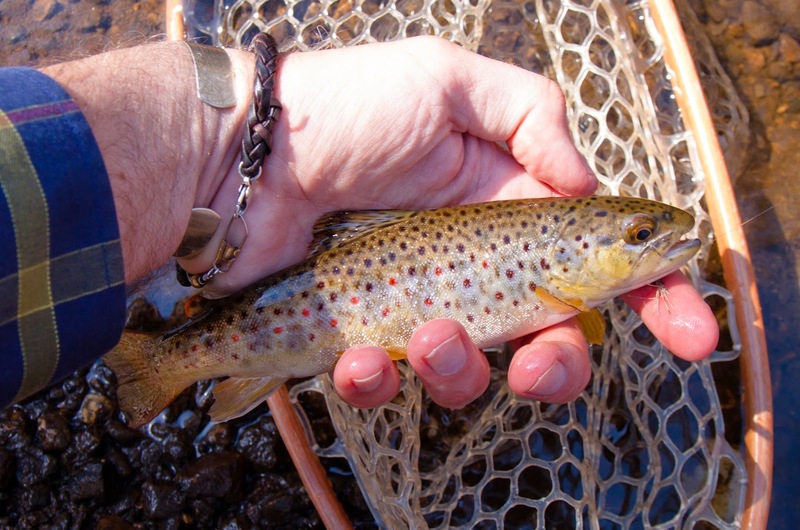 Further upstream, above the kill, the trout were numerous and eager but I was especially encouraged that the blighted section was making a comeback. There may be hope for the human race after all. And that new glass rod, my first, casts like a charm. Glad to see things are improving on that stream. 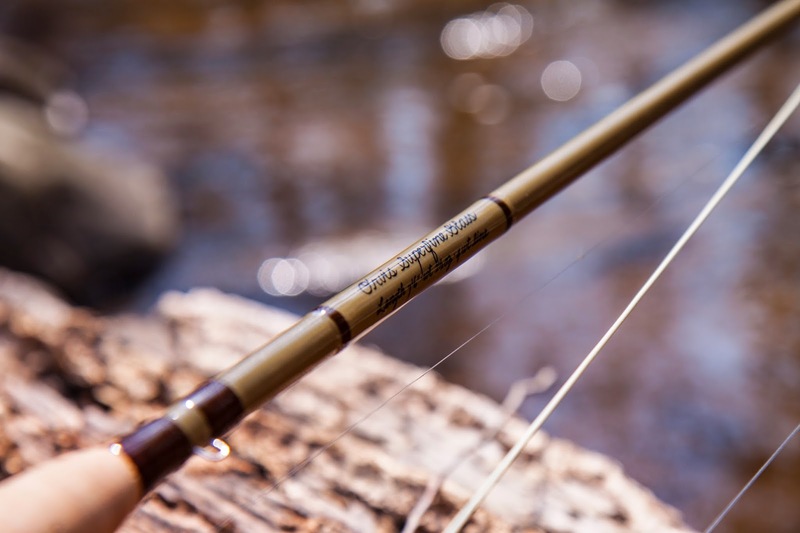 Need to get my hands on one of those new Orvis glass rods, someday. Also, I need to get myself back to the banquet one of these years when the money trap, aka the house, stops bleeding me dry. It is always a fun event. Yeah, the house is like that. I was very pleased with how the glass rod cast. It's much smoother than the graphite Superfine that I have (not the most recent version, but last generation) and didn't require that I overline the rod to get it to load well. I'm looking forward to fishing it more. I have the same older model graphite Superfine that you speak of in a 3 weight, 6 1/2 foot. I'll be busting out the 6 foot Hardy Glass soon. Glass and small streams, made for each other.